Despite the holiday promotions that seem to appear earlier and earlier in the year, for many southern Californians, the first signs of Christmas often appear as twinkling lights adorning a neighbor’s front yard. 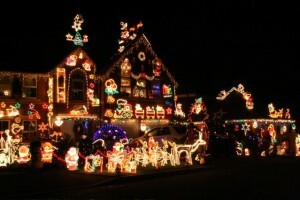 Of course, every year, families are faced with the same dilemma of locating the most dazzling displays of holiday lights. It has even become a tradition for many to drive through various neighborhoods in order to take in the most brilliantly lit and decorated houses in town. In order to help in this journey, we would like to highlight the best of the best when it comes to Christmas lights in southern California. From all of us at SLS Consulting, we would like to wish you and your loved ones a safe and joyous holiday!